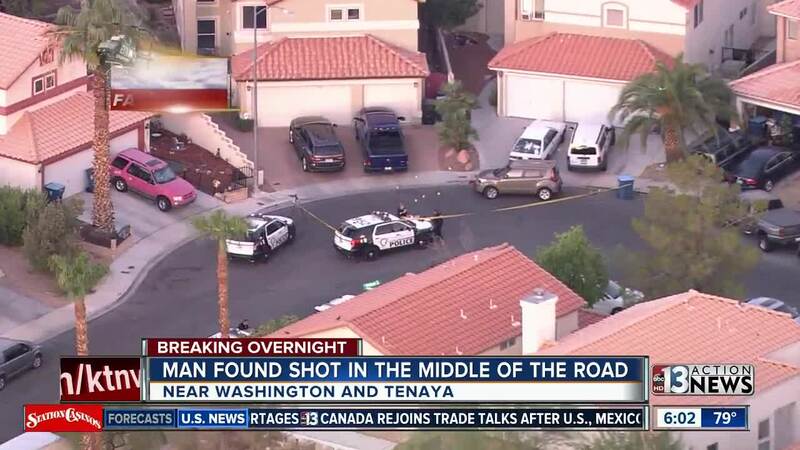 Police are investigating the shooting of a man who was found in middle of street near Washington Avenue and Tenaya. This is a roundup of all the breaking news from around the Las Vegas valley for August 29, 2018. A car is on fire on the Las Vegas Boulevard on-ramp to northbound U.S. 95, sending dark smoke into the sky. A man driving a green SUV died after crashing into a dumpster in the 3200 block of South Mojave Road, near Desert Inn Road. Witnesses told police that the vehicle drove straight into the dumpster. Traffic delays are expected. Keller and Rundle elementary schools are on a soft lockdown following a robbery in the 400 block of North Nellis Boulevard, near Stewart Avenue. Police said a person in front of a business was jumped by two men and two women and robbed. The person saw the suspects run into a nearby apartment complex. Two people are detained but it is unknown if they are the suspects. The man who was found in the middle of Wild Wind Drive has died. Still no information on what happened or possible arrest. Mohave County Sheriff’s Office Deputies were dispatched to a residence in Meadview for a welfare check. The reporting party stated her neighbor had been having issues with an ex-boyfriend and had not heard from her recently. Deputies arrived on scene and observed a woman slumped over inside a vehicle with multiple gunshot wounds and a man on the ground with a single gunshot wound to the head. A silver handgun was located near the deceased male. The two have been identified as 70-year-old John Belcher, of Kingman, and 67-year-old Cheryl Lynn Clark, of Meadview. 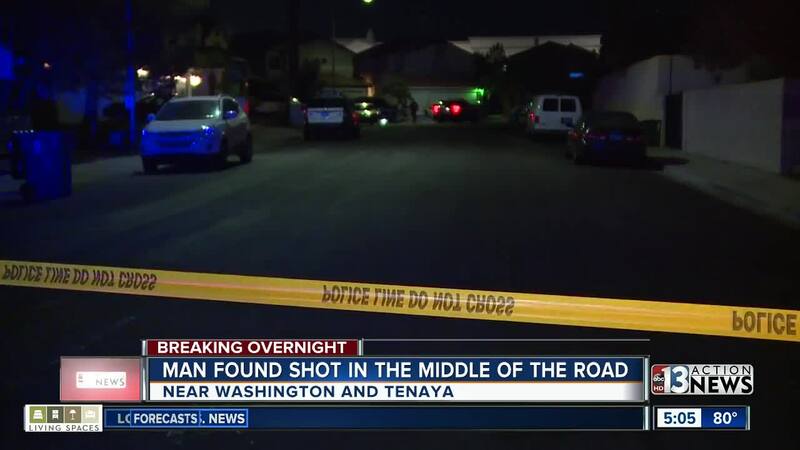 A man with gunshot wounds was found lying in the middle of Wild Wind Drive near Washington Avenue and Tenaya Way. He was transported to a local hospital. His condition is unknown. No one has been arrested at this time.